What do you get when you bring together six energetic, talented, extremely witty and good looking musicians with larger than life personalities? None other than The Leftovers, of course – Cincinnati's newest cover band. Meet Tony Manyet, John Yeager, Dave Herbert, Brian Pangburn, Kevin Haas and Lindsay Clore, the creative forces behind the band that came together this past year and performed their first gig in September at the Olde Fort Pub. It all started when John Yeager who played drums with lead guitarist and keyboardist Brian Pangburn called the Witchdoctors. Then, four years ago, Pangburn asked Yeager to join him in the band Clevergirl. Herbert came aboard to play bass guitar a few years later. Fast forward to the summer of 2016 when they all decided to make a fresh start as The Leftovers. Orangetheory Fitness at the Newport Pavilion. Try your FREE class today. Drop in and let the desk know you saw this ad on Fort Thomas Matters. The three original members brought in Tony Manyet as their lead lead vocalist and harmonicist and Kevin Haas to play rhythm guitar and keyboards. They were ready to start their new careers as the latest boy band until they met Lindsay Clore, the "Brave Party Girl" as the band lovingly refers to her as. "Once we heard her sing and saw her very impressive cowbell skills, we knew we had to add her as our sixth band member," Yeager said. 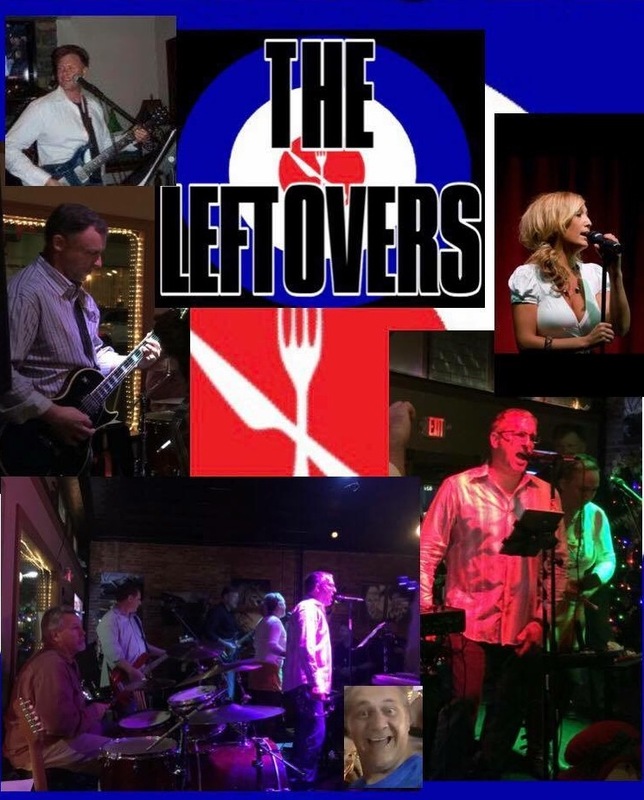 Best described as part-performance, part-party band, The Leftovers bring a ton of fun and energy to their set lists of songs that are cover band staples from 60s to 80s classic rock tunes to newer pop rock songs. Since their debut at the Pub, The Leftovers have graced the stage at Sis’s and York Street Cafe in Newport; Boonedocks in Union; O'neal's Tavern in Beechmont; various corporate events; and most recently, the 80s themed Brighton Center fund raiser at the Highland Country Club. Tony Manyet, a 1985 Highlands graduate resides in Fort Thomas with his wife Becky and two children. Manyet says music has always been a big part of his life. He credits great music teachers growing up, Dan Kemplin and Charlie Wells, whom a lot of us remember, for teaching him to sing and expanding his talents as the lead male in many plays throughout grade school as well as a member of the show choir, the Highlandaires in high school. He also has sung at many weddings over the years and was in a band for a short time in college. He has worked in sales and account management for 30 years. John Yeager who plays the drums and books the gigs is the co-owner of Sound Solutions, an audio video custom design and installation company. He lives in Ft. Thomas with his wife and two children. Yeager got his first set of drums when he was 14. Influenced by The Who, Led Zeppelin,The Clash and The Ramones, he played in alternative bands in high school and college, playing parties and the occasional bar. Dave Herbert, originally from Ohio, now resides in Ludlow and has a daughter. He says as everyone knows, the bass player is the most boring member of any band and has been in bands all his life, starting as a drummer and moving to bass when a good friend was the drummer in a band he really wanted to be in during the 80s called The Zero. He has played with some really great musicians including Roger Klug and John Ford and has done some recording work as well. "I must say that this particular band is an absolute blast to be a part of, Herbert said. I sincerely love going to and look forward to band rehearsal night. These guys, and the brave party girl are all such great people and so fun to hang out with. The chemistry is amazing, and that's so hard to find. I couldn't be happier to be in The Leftovers and hope we can do this for a long time to come." He also has played in bands over the years, even having started a garage band that played backyard parties. As time passed, he kept playing and caught on with some very talented local bands including Mental Floss, Solid Ground, Smilin’ Will and The Nicole Allen Band. Kevin Haas' mother made him take piano lessons when he was very young. "We didn’t even have a piano," he said. But she persisted, making sure he went to family and neighbor's houses to practice. Eventually acquiring a piano, Haas learned how to read music and took up trombone in grade school until he found an old bass guitar at age 14. He learned to play it and jammed with some local bands. Haas is a 1981 Highlands graduate and lives in with his wife and three children. His work lies in National Band & Tag Company, started in 1902 by his great grandfather. Born in Lexington, Lindsay Clore lives in her hometown Union with her husband and two daughters. She works in purchasing at BlueStar, Inc.
After graduating from college, Clore moved to Nashville to pursue a career in country music. Before she left, her mother who she credits for her love of music, gave her the soundtrack to Coal Miner’s Daughter and told her any self-respecting Kentucky girl should know the words to every song on there. She spent the next four years there on Lower Broadway singing and bartending. Clore said, "While I do think my vocals bring some added value, my real talent is on the cowbell and exploring the space. I also play a mean tambourine, however not as well as the bell. What I’m saying is, I have zero talent as a musician." Each of the members of The Leftovers agree their favorite part of being in the band is the chemistry between them. "I can tell you that they are all fantastic people who not only enjoy entertaining others but really try to bring their best and work hard to deliver at a high level, Manyet added. These folks have become some of my favorite people in this world, and I am so happy for the chance to get to do this with them. It has been such a blessing. We all match up in such a great way; our styles are complimentary of one another and we genuinely enjoy our time together." Be sure to check out The Leftovers Cincinnati Band on Facebook so you can catch one of their next gigs. They guarantee to bring a sense of humor and fun with their good vibe, sweet music mix and goal to get you up and dancing! I saw this band at sis’s I wish to see them every chance I get.